He is a foot out of the crease, a tangle of limbs and protective equipment. The stumps are broken. The wicketkeeper has the ball. Grinning fielders have begun to converge. Curran had groped and guessed and scrapped his way through the first 16 deliveries of his innings. One ball, from offspinner Dilruwan Perera, had pitched on about middle and off, then bazooka-ed past his shoulder. Now, 17th ball, he has been beaten so damn resoundingly, he has been put on his knees by a slow bowler. From a distance, he looks beaten and dejected. He is on the ground for a second, maybe two. A lifetime to be out of your crease. How it transpired that Curran got to continue batting after being so comprehensively bested by the bowler takes a little explaining. Wicketkeeper Niroshan Dickwella had noticed that Curran had overbalanced and was about to stumble out of the crease, but did not wait for quite long enough to break the stumps. This meant that Curran still had his foot grounded when the bails were removed. Then, when Curran did fall over – those seconds in which he was barely in the same postcode as the crease, not to mention, you know, on the ground – Dickwella was busy appealing, and failed to pluck a stump out of the ground, which is the way to complete a stumping when the bails are already off. By the time he thinks to do it, Curran has made his ground. Whether he knows it or not, Dickwella comes from a bloodline of crafty, devious, con-man keepers. Kumar Sangakkara would pretend a throw was coming in seconds earlier than it was, just to make a batsman dive into his crease. Then Sangakkara would laugh at him. Prasanna Jayawardene – maybe the best pure keeper seen this century – would stand as if he was expecting a Muttiah Muralitharan offbreak, when really it was the doosra that was coming. And in any one game, Romesh Kaluwitharana could be safely relied on to produce more stumpings than sensible shots. It’s hard to imagine any of them would ever have been too early to whip the bails off, then too late to pluck the stump out, let alone both. The gold standard in match awareness, meanwhile – MS Dhoni – wouldn’t just have plucked the stump out of the ground, he would have opened up his jaws and swallowed it just to make the dismissal sure. 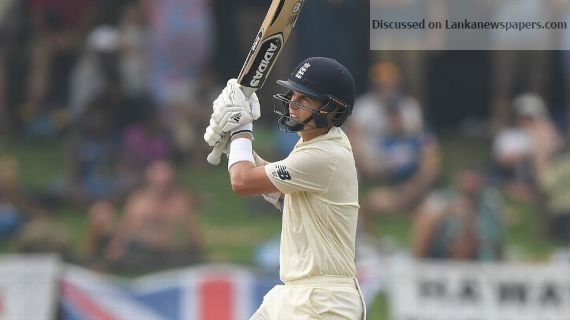 Sri Lanka didn’t have much time to rue that miss, because soon there were other misses that they would go on to regret more – Curran and James Anderson adding a monumental 60 for the last wicket. Dickwella dropped what was probably a catch off Anderson’s bat and pad – a dismissal that would have shut the innings down at 225. Then as Curran – emboldened by the desperation inherent in a last-wicket stand – suddenly started thumping sixes, fielders abandoned cricketing sense and essentially had to be babysat by their captain, instead of playing like functioning adults who have played cricket all their lives. A few times, when Curran was on strike for the last two balls of an over, an entire half of the field failed to come into the circle, to prevent him from taking an easy single. At other times, when captain Suranga Lakmal had stacked the off side with bodies, Akila Dananjaya kept bowling at leg stump to be whipped away for a single or four – whatever Curran desired at the time. On 53, he was dropped again. Curran had hit four straight sixes, and yet the fielder at long on, who should be more alert than almost anyone else on the field, awoke with a start like a senior who had fallen asleep with a bowl of soup and had just spilled it on himself. He then bungled towards the ball, and kneed the catch straight into the ground. All through the last-wicket stand, Sri Lanka leaked runs, dived over balls they should have cleanly intercepted, while one of their bowlers both failed to set the proper fields and then failed to bowl to those bad fields. At the very stage of the innings when Sri Lanka should have been miserly and ruthless, when they should have been a clenched fist in cricket whites, they were a drunk uncle passed out at a party with an armful of gifts. At a time when they should have been a pod of orcas closing in on a frightened seal, they were a bunch of sleepy pandas falling out of trees. Eventually, a catch would be held and the innings would end. But by then England had 285, in a game that looks like the ball could start turning out of the neighbouring province pretty shortly. In the latter stages of England’s innings, it was Sri Lanka who were on their knees. From a distance they looked beaten and dejected. The game-changing partnership had lasted 66 balls. A lifetime in matches such as these.